Beifang'ao of Su'ao stretches southward towards the mouth of the Heping River at Aohua Village of Nan'ao Township and is a part of the Su'ao-Hualien Fault Coast. The coast covers an overall distance of 44 kilometers. The effect of the Su'ao-Hualien Fault towering over the coast is dramatic falls. The fault approaches the ocean and leaves virtually no flat land in between. However, there are a few deltas where rivers reach the ocean and serve as places for village settlements such as Dong'ao, Nan'ao, and Heping. Su'ao Harbor is another geological treasure. 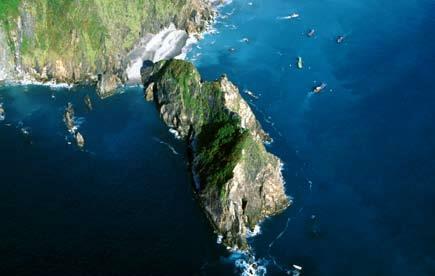 Two capes, Beifang'ao and Nanfang'ao, surround Su'ao Harbor to make a perfect natural harbor. 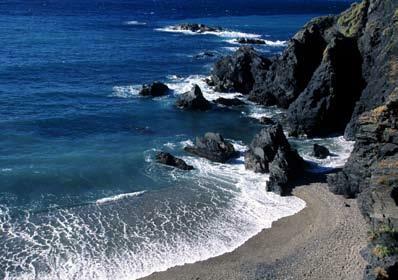 Moreover, Doufu Cape and land-tied island at Nanfang'ao are famous spectacles in coast formation. In Yilan, the cold Oyashio Current from the north and the warm Kuroshio Current from the south meet here on the migrating routes of oceanodromous fish. A high concentration of plankton attracts an abundance of fish. The waters near Turtle Island are one of the three major fishing grounds in Taiwan, whereas Nanfang'ao is one of the three major fishing ports in Taiwan.